Discussion in 'iPhone and iPad Games' started by TouchArcade Bot, Dec 3, 2015. 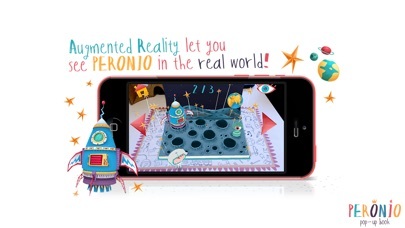 PERONIO is an interactive Pop-up Book like you have never seen before! 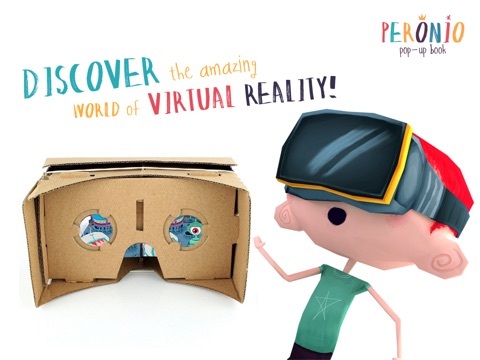 Unlike any other interactive book around, PERONIO wows through the use of virtual reality glasses technology and presents a holographic game-play experience, combining Virtual and Augmented Reality technology into one unique experience that you will never forget! 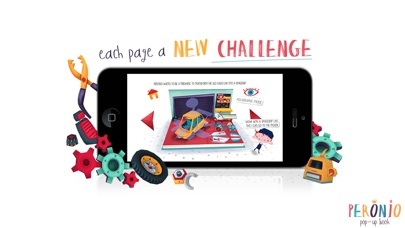 It provides the user a never before, seen adventure that the reader can engage in to discover this ultra imaginative Pop-up Book. 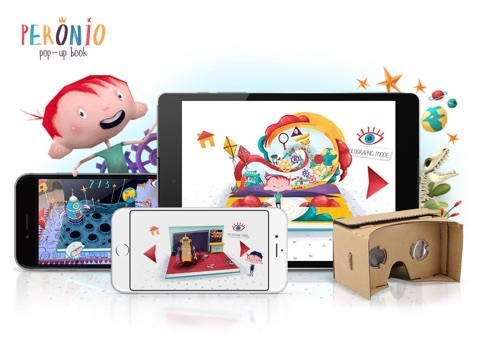 Turn your conventional mobile phone into a “super-special-laser-vision-machine”. All you need to do is follow the instructions and enjoy the MAGIC! 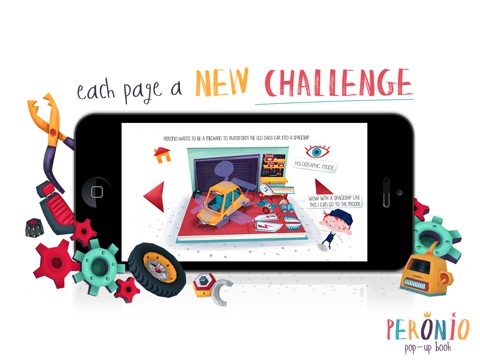 From the very second the first page turns, we discover the adventures of Peronio, the books namesake, who can´t decide what he wants to be when he grows up. 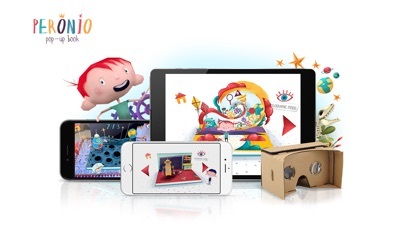 We follow him on his journey and explore various exciting challenges and mini games along the way. 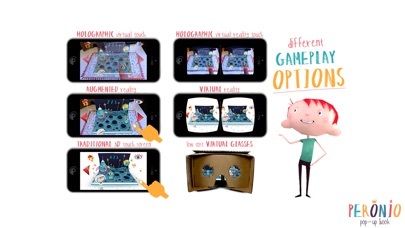 The game can be played using the hands directly at the Target, creating an Holographic effect that one can virtually “touch” it, pushing the imagination to the MAX! “What do you want to be when you are grown up?” Peronio doesn´t just want to be a regular dentist, he wants to be the dentist to Dragons because they have so many pointy teeth! Then he tries out being an Engineer to turns his dad´s car into a spaceship...of course! 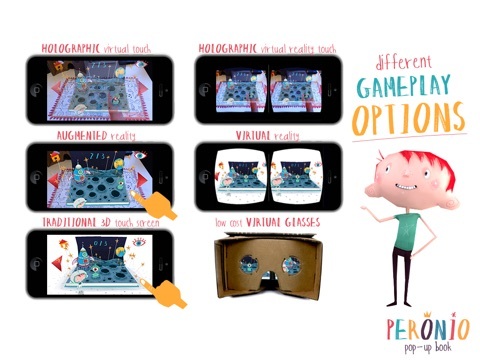 The options are endless and all this enhanced through Virtual and Augmented reality! This world that kids build up about adulthood and professions is truly magic and fascinates us all. 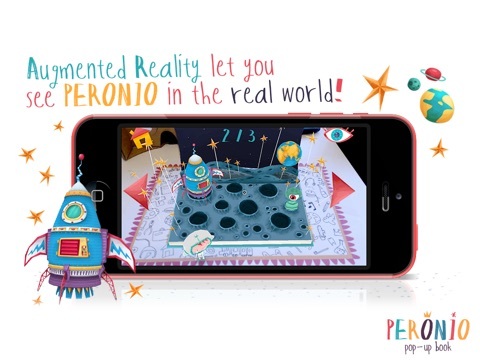 You can play Peronio in many different ways, with or without a VR glasses. 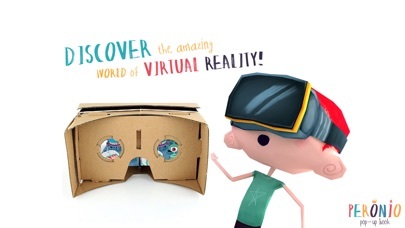 It is important to know that the game will function with every low cost VR glasses.